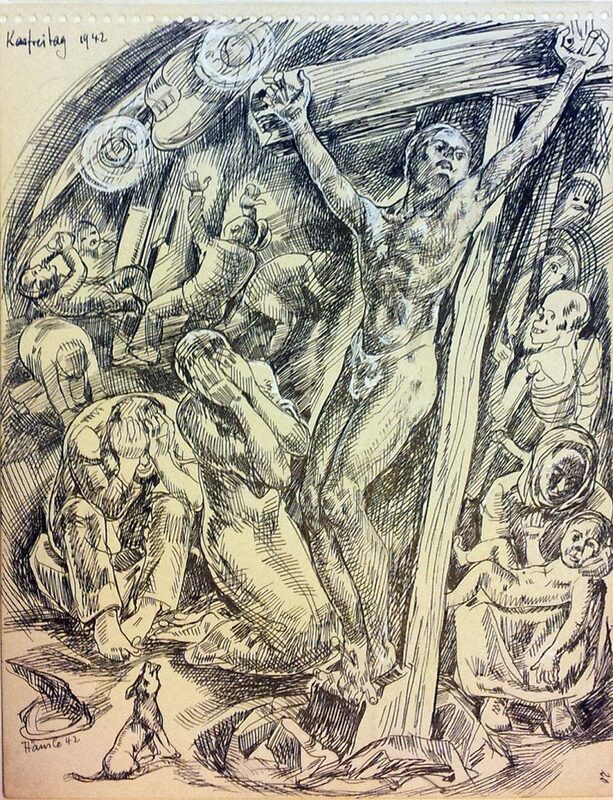 „Karfreitag“, 1942, ink on paper. Hans Häusle (Haeusle) (1889 Zürich – 1944) was born in Zurich in 1889. In his early years, he studied drawing at the publisher Orell Füßli and at the Kunstgewerbeschule Zurich. In 1909/10 he made several journeys to Florence and Rome, 1916-19 study trips to Germany and Italy. During the war years, Häusle combined literary, mythological and biblical topics with contemporary topics. He died in 1944 in Zurich.